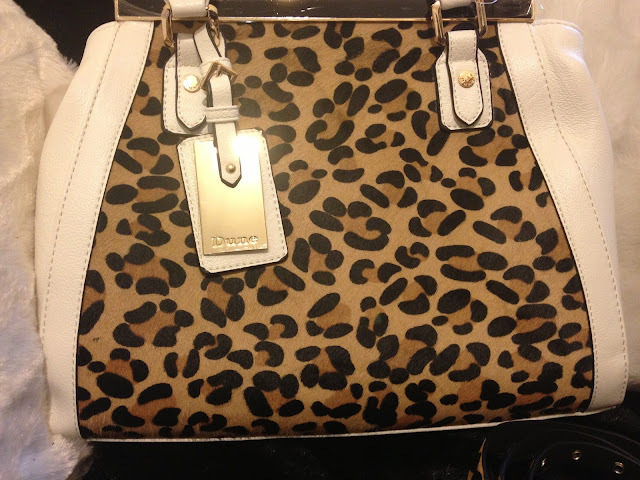 I love Leopard print, it's so timeless; on the catwalk and in high street stores season after season. 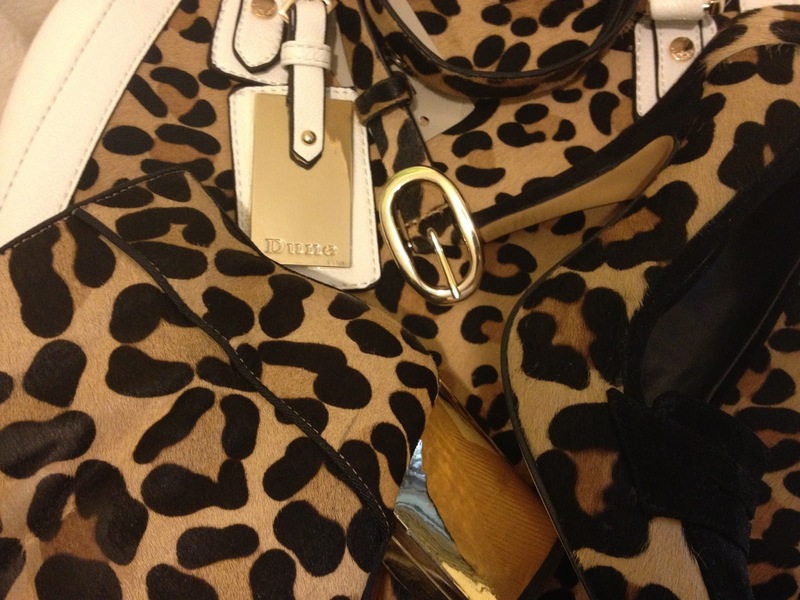 One store I adore and know always has amazing leopard print items is Dune. I remember my first leopard print purchase from the store was my gold heeled leopard print ankle boots, though a little pricey at £110 they have proved worth their value as they go with just about any outfit, can be worn casually or dressed up and I always get compliments when wearing them. With the success of my ankle boots I recently decided to visit Dune to make another leopard print investment and I was pleasantly surprised. The first thing I spotted in the shop was this gorgeous leopard print belt, which had a gold buckle (not a lover of silver). 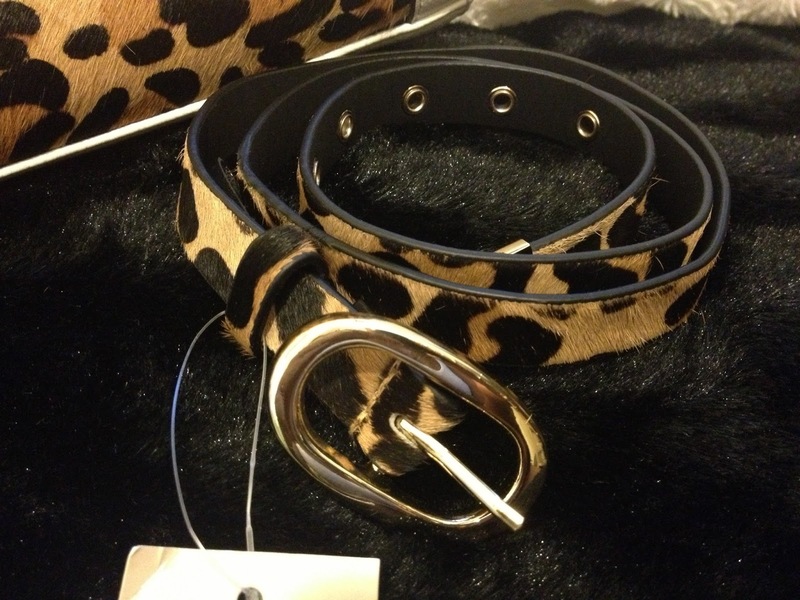 In leopard print pony hair with a leather back I knew I had to purchase the belt and at £29 it was actually a bargain as I knew how well it would work with what I already owned. When not wearing matching shoes/boots with the belt a matching bag would go fantastically well. So when I spotted a matching leopard print bag in white leather and pony hair, I decided that these two items need to come home with me. Originally at £120 and reduced to £60, I knew this was a bargain I couldn't ignore. I love the way the Leopard print in Dune is consistent, the same pony hair leopard print material is used through out; from the bag to the belt to the shoes... as my growing collection shows. 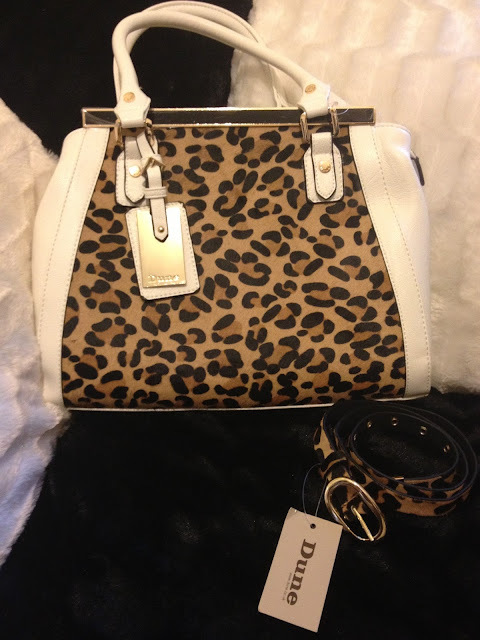 Why not check out the leopard print collection on the Dune website, I'm sure you're bound to find something you fancy. 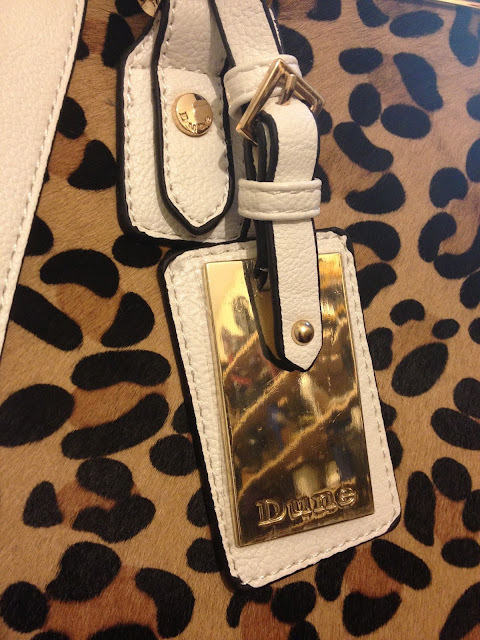 Check out my blog post Summer Leopard Print (click here) where I showcase my recent Dune purchases.